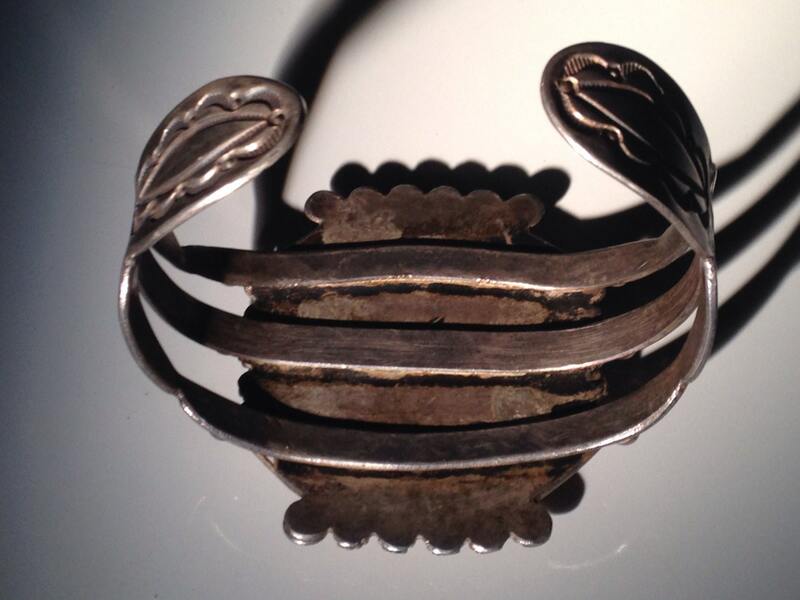 This is a traditional Navajo heavy (50.0 grams), sterling silver bracelet. This piece is in good used condition, with typical condition issues. Some exceedingly minor bending of the bracelet is noted. 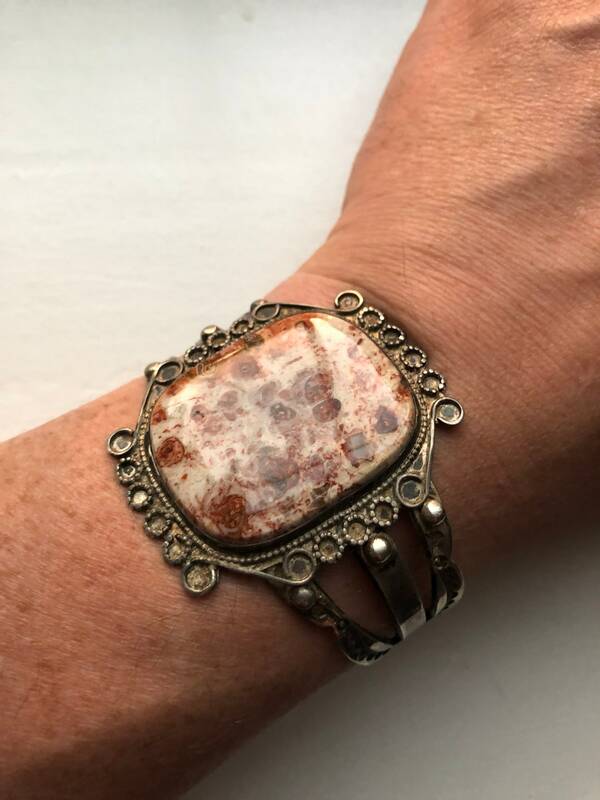 This style of bracelet is not very flexible for the average person to make large adjustments and therefore should only be adjusted by a jeweler. 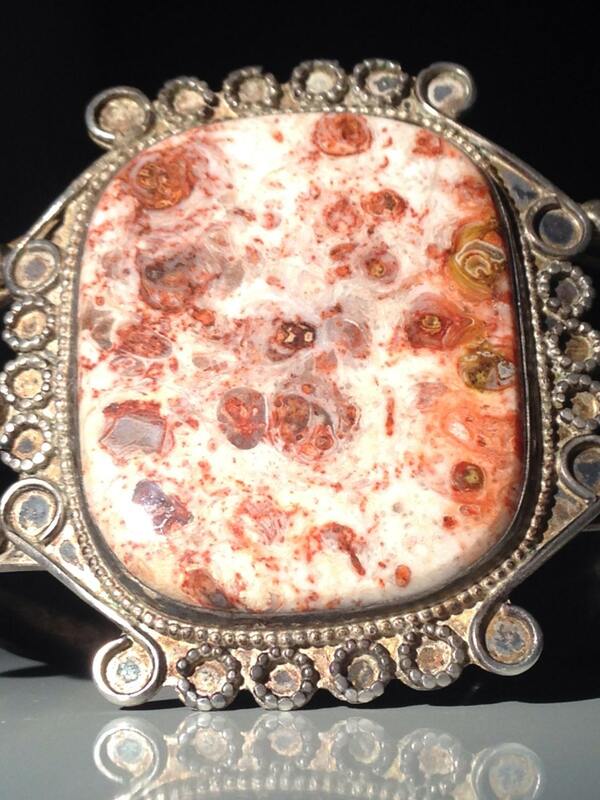 Bezel is clean as shown and is flanked by an ornate bead and rope design accents and stamping. 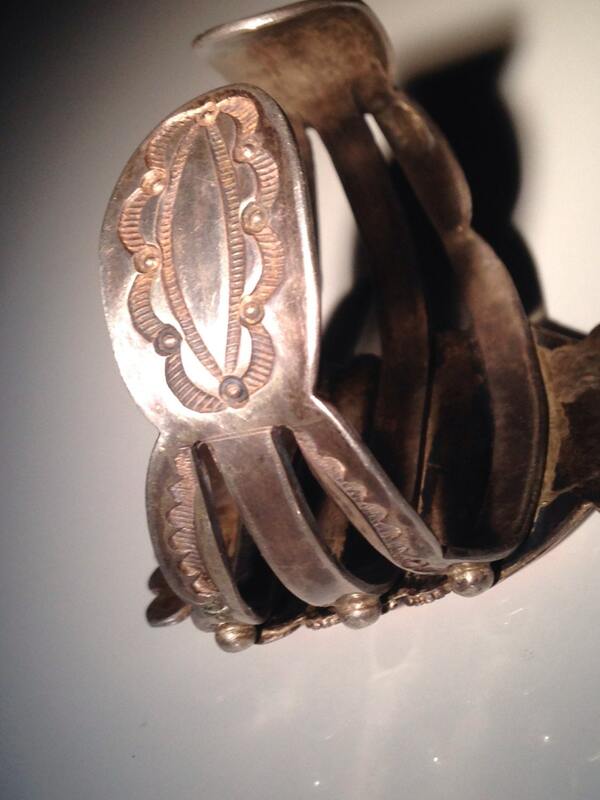 The bracelet has some Navajo stamps. Overall the design seems relatively vintage--with some oxidation. I do not polish these pieces as is traditional, but will do so if a customer requests it. 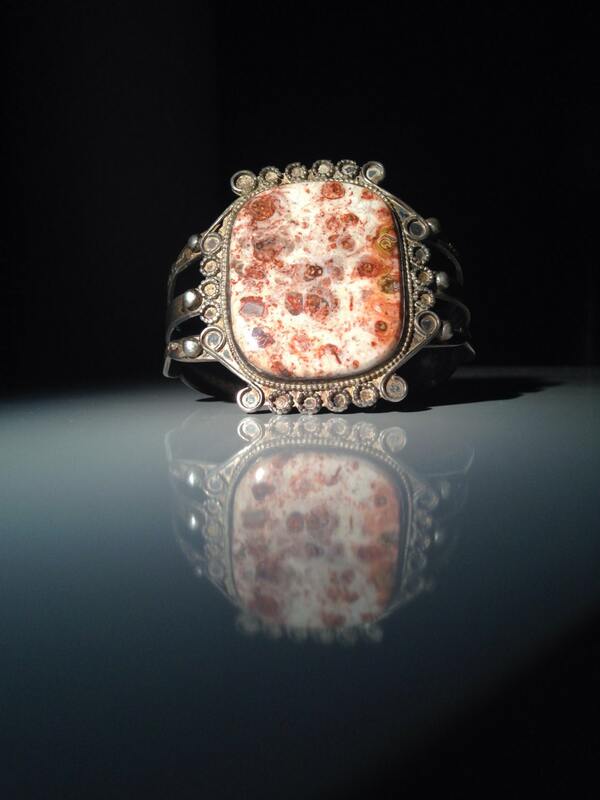 Dimensions of stone are about: 35mm wide x 40mm tall. 23mm gap (.9"). 60mm (2.3") at the widest inside and about 43mm (1.7") inside top to bottom. About a 6.75" wrist. No major cracks or chips in the stone (near perfect stone with glossy finish). Petrified palm wood is a variety of chalcedony and is very hard, around 7.5 on the Mohs scale of hardness and takes a wonderful polish which makes it a great stone for jewelry. 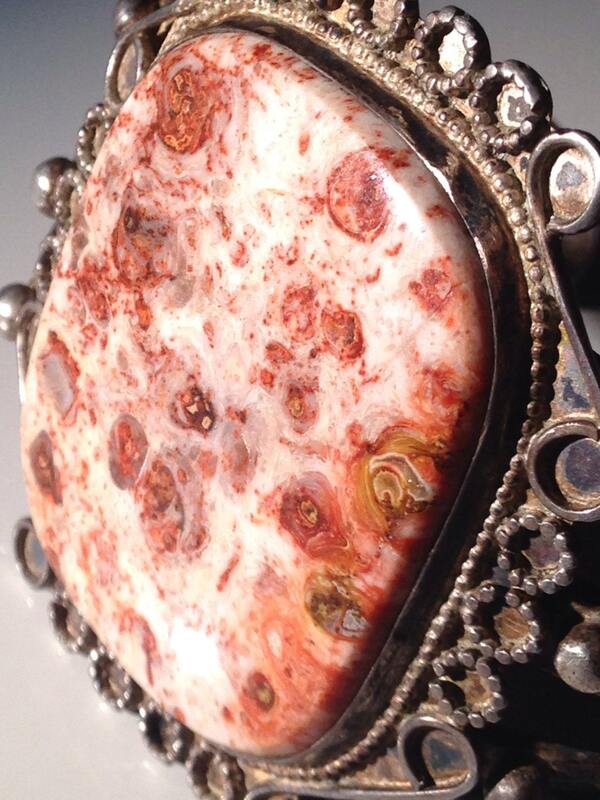 What a beautiful stone!